Get all the information you need to choose a career, find a job, write a resume or cover letter and so much more! This guide provides a sampling of the materials available on this subject. To view more visit the library or browse the catalog. This job search engine includes millions of job listings. Job seekers may sign up to receive job alerts in their email, based on location, type of job, or company. Job classified ads from the Press of Atlantic City. A good source for local job listings and "gigs" in South Jersey. Learn keyboarding and improve your job skills! Learn how to use a computer mouse with this simple training. A basic tutorial that promotes skills for using a computer mouse effectively. This is a short, easy-to-use, web based course on basic computer skills. This tutorial is designed to help people who have never used a computer before. Offers free online classes on computer basics and Microsoft Office programs (i.e., Word, Power Point, Excel, etc.). BBC: Absolute Beginner’s Guide to Using Your Computer – A basic introduction for anyone new to using a computer. Job & Career Accelerator will help you get your job search into high gear. Job Seekers--Are you…unemployed or underemployed for 6 or more months and ready to work? You may be eligible to participate in Ready to Work New Jersey. This program can provide you with free coaching and on-the-job skills training leading to a permanent, full-time job with a participating employer. You will be paid while in training. Please register at http://rtwnj.org. The Atlantic City Free Public Library, in partnership with Atlantic Cape Community College, will look to present greater employability opportunities for local residents by offering a new training program: Communications for the 21st Century Workforce (CS21). The CS21 program will provide qualified disadvantaged, displaced and employed workers an additional opportunity to obtain workplace literacy services and career pathway training. The training is free for all participants. • Computer Literacy Skills training – This 10-week program will provide the basic computer skills needed for those searching for employment, writing a resume, submitting applications online, utilizing email and performing tasks at the workplace. • Guest Services certification – Participants can earn a professional certification that is recognized by the hotel and hospitality industry in this two-week class. The class will center on the communications skills those in the industry need to provide memorable guest services. Contact Adrianna Martinez at (609)345-2269 extension 3044 or amartinez@acfpl.org for more information. NJ Career Connections is a quick and easy portal from the NJ Dept of Labor and Workforce Development. Use their Plan, Prepare, and Succeed model to learn more about the One Stop Center programs, unemployment, and to get help with resumes and cover letters. Public access to One-Stop computers for posting resumes and for jobs. Resource library with information on careers, many occupations, training opportunities, job search tools & appointments with Employment Interviewers. View available job listings for the City of Atlantic City. P.O. Box 1107, 1227 Drexel Ave. Provides a structured transitional work experience and training in basic life skills and job search techniques to help ex-offenders, recovering substance abusers, school dropouts, and those receiving public assistance obtain employment in the private sector. Call 609-343-2284. Offers services related to the loss of income due to the sudden disability of a partner, separation, divorce or widowhood. Counselors are available to guide women back into the workforce. State, county, and municipal government job announcements including Firefighters and Law Enforcement applications. The New Start Career Network (NSCN), a program to serve New Jersey’s older, long-term unemployed job seekers. Are you facing UNEMPLOYMENT? Click here to file for unemployment with the NJ Department of Labor and Workforce Development. (Note: Anyone who has a previous unemployment user ID which was created prior to 1/9/18 will need to create a NEW user profile. Click here for more information.) To file continued claim by phone for Atlantic City, call 609-441-7581. Click on the Blue "Resume Template" link above to open the resume template. Make a Resume Using the Resume Template. 1. Open the "Resume Template," (a Microsoft Word document), by clicking the computer mouse on the blue link above. 2. Replace the existing text with your own personal information. 3. Save your completed resume to a flash drive or email it to yourself as an attachment. A library staff member will be happy to help you with saving, printing, and emailing your resume. Staff will also show you how to upload your resume to an online job application! Create a Gmail account or Yahoo mail account. These email accounts, the most popular, require a cell phone to establish. If you do not have a cell phone, use the service below. This is the only free email that doesn't require a code sent as a text message to a cell phone; Gmail and Yahoo do. Click on the Sign Up button in the upper right hand side of the page. Follow the online instructions or ask a library staff member for assistance. How do I upload my resume to an online application? desktop and search for your resume. Once you have located your resume, double click on your resume to upload it. Job Skills Lab at the Library Learning Center Every Wednesday 11:00 am to 1:00 pm. WorkAC helps connect Atlantic County residents with jobs. WorkAC office is located at the college’s Worthington Atlantic City Campus at 1535 Bacharach Blvd., Room W105, in the Caesars Entertainment Hospitality and Gaming Studies Wing. Office hours are Monday to Thursday from 9 a.m. to noon and 12:30 to 3:30 p.m., with extra hours until 6:30 p.m. Thursdays. Contact (609) 343-4800 ext. 4624 for more information. In a hurry? -- upload or paste an existing resume onto OnRamp and it can analyze your resume and make suggestions. This free resume building tool is an online resume builder that enables you create your own resume. This resume workshop from the Purdue Online Writing Lab (OWL), provides detailed explanations, as well as step-by-step processes, for creating an effective resume. Use these resources in the library as a guest or from any internet connection with your library card. Job & Career Accelerator will help you create a great resume or cover letter. Tutor.com's Adult Center Career Help will give you access to a live tutor who can help you with your resume. Also take advantage of the Resume & Cover Letter Templates and Guidelines available. In Atlantic County, attend a System Orientation on ANY Tuesday, or Wednesday starting at 9:00 Tuesday and Wednesday, on the first floor of the Pleasantville Office. No appointment is necessary. Plan to spend about two and 1/2 hours at the center. Training programs to help you move into a new career, offer training on state-of-the-art equipment. Call (609) 343-5650 now to schedule a personal interview. Classes are held at Atlantic Cape Community College’s Mays Landing East location, next to the Mays Landing Campus. Credit-bearing courses and certificate programs are also offered to meet the needs of the adult learner seeking new knowledge to expand career goals or sharpen current skills. Learning Express Library offers practice test, courses and ebooks in the following categories: Air Traffic Controller, Civil Service, Commercial Driver's License (CDL), Cosmetology, Culinary Arts, Electrical, Emergency Medical Services, Firefighter, Green Careers, Law Enforcement, Military, Nursing and Allied Health, Legal, Plumbing, Real Estate,Teaching, Test-Taking Skills Improvement. Tutor.com: Tutoring is available for adults too! Live tutors are onine from 3 to 10 p.m. every day. Study guides are available at all times. Look in Test Prep Resources for guides to the: GED, ASVAB, Civil Service Exams, TOEFL, Nurse Entrance Test and more. Directory of accredited continuing education programs for associate, bachelor and master's degrees. BS4W provides free online training and skill building using interactive lessons in real work situations. Create a free account to get started. (NJCAN) is a free Internet-based system which provides accurate, comprehensive, and current, occupational, post-secondary school and financial aid information. NJ PLACE provides opportunities to workers to use the knowledge and skills learned in certified apprenticeship training programs as credits toward a college degree. Search for schools and organizations that provide occupational education and job training opportunities in and around the state. 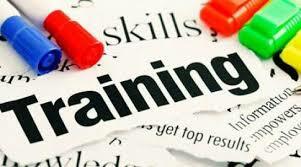 Content covers information on programs offered by each training provider, location and length of training, and costs.